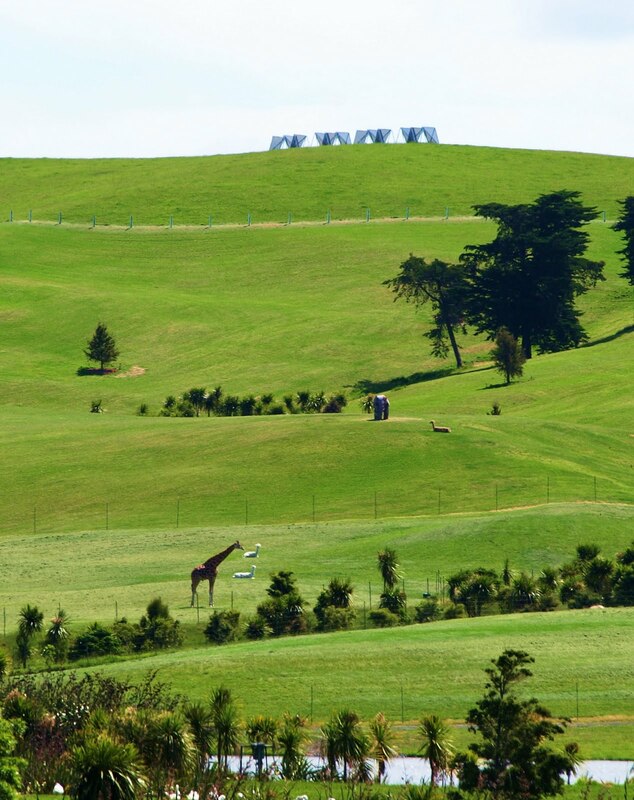 When you go for a drive into the country, you expect to see sheep (this is New Zealand), cows, cattle and horses; and birds - a few hawks, pukeko maybe; always some dead possums. If you're very lucky, you stop to take a photo of a bridge and there, right above your head in a flame tree, is a tui feeding from the flowers, swinging about from the twigs like an acrobat. Not that the purists would accept this as a valid tui image, since it's not in a native tree. 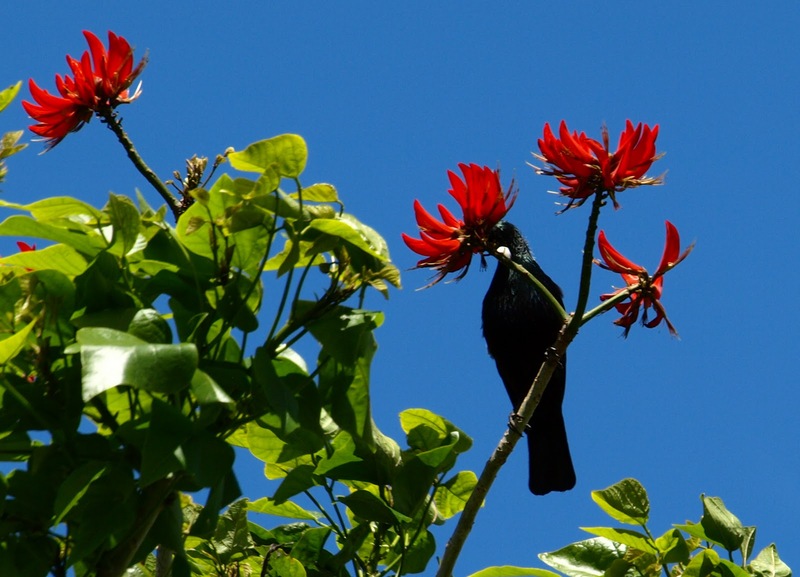 But it is better than my only other tui photo, of one having a bath in the guttering of our house. And the sound track of singing sky lark (another non-native, tch) was just icing on the cake. I was doing a roadtrip story about SH16 which heads north-west from Auckland straight into the wine country around Kumeu, where serious tasters were solemnly spitting into - do they call them spittoons? Surely oenophiles have a fancier word (like oenophile). Anyway, not swallowing. There are more vineyards around Kumeu than you can shake a stick at, famous ones, too: Coopers Creek, Matua Valley, Nobilo, Soljans Estate... All very neat and flushed with new green, the roses at the ends of the rows just in bloom. Then it was out into the real country, where the horses are knee-deep in buttercups, the fields are pricked out with curving lines of new crops just sprouting, and the hayfields are long and lovely and lush (thanks, GM Hopkins). I was looking for a private sculpture park owned by a millionaire (450 times over) who likes to think big. The little old ladies in the op shop at the pretty little Kaukapakapa Church told me "You can't miss it, it's just past the concrete bridge. There's giraffes and all sorts!" And you know what? They were right. Giraffes, eh. Not at all what you expect to see on a country drive in New Zealand.